Northern Sea Oats - Chasmanthium latifolium - is a beautiful ornamental grass and it grows very well in Utah's climate. It gets 2 or 3 feet tall and 2 or 3 feet wide. Native to the Southeastern United States and Northeastern Mexico, Northern Sea Oats can thrive in our harsh climate on the Wasatch Front. 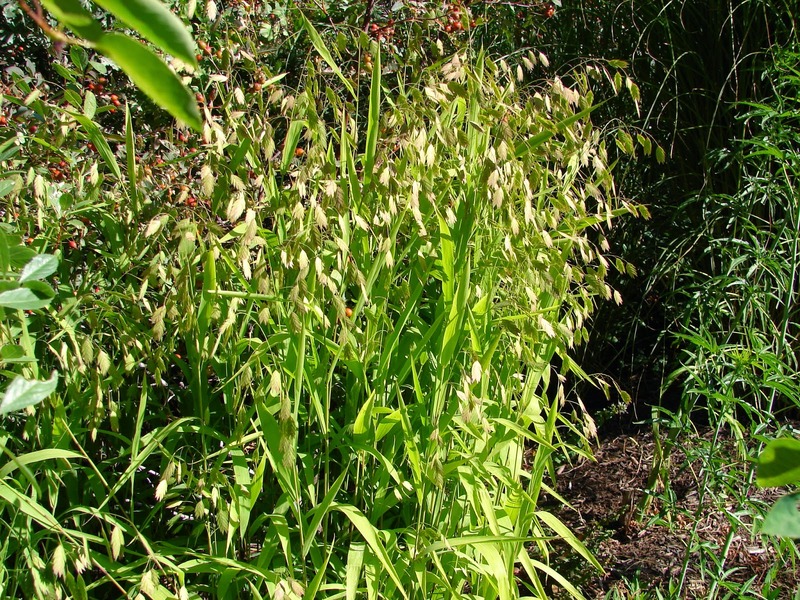 It has a vase-like form and develops interesting dangly seed heads that turn tan and brown as the summer progresses. It is a clumping grass, not a running grass, so it won't spread and take over. It has moderate water needs - not much spring and fall, but it will need a regular soaking during the hot times of summer. Excellent in mass plantings or with flowering perennials of similar heights, like Echinacea, Daylilies and Rudbeckia.